An Irish officer in the British Army, Major General Robert Ross (1766 1814) was a charismatic leader widely admired for his bravery in battle. Despite a military career that included distinguished service in Europe and North Africa, Ross is better known for his actions than his name: his 1814 campaign in the Chesapeake Bay resulted in the burning of the White House and Capitol and the unsuccessful assault on Baltimore, immortalized in The Star Spangled Banner. “The Man Who Captured Washington” is the first in-depth biography of this important but largely forgotten historical figure. 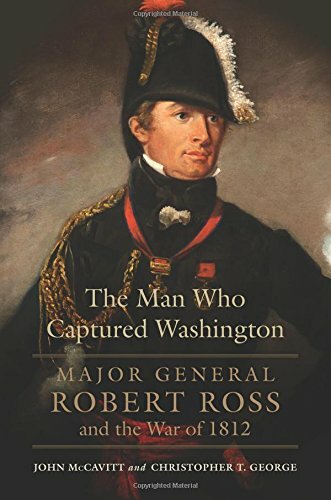 Drawing from a broad range of sources, both British and American, military historians John McCavitt and Christopher T. George provide new insight into Ross s career prior to his famous exploits at Washington, D.C. Educated in Dublin, Ross joined the British Army in 1789, earning steady promotion as he gained combat experience. The authors portray him as an ambitious but humane commanding officer who fought bravely against Napoleon s forces on battlefields in Holland, southern Italy, Egypt, and the Iberian Peninsula. Following the end of the war in Europe, while still recovering from a near-fatal wound, Ross was designated to lead an enterprise to America, and in August 1814 he led a small army to victory in the Battle of Bladensburg. From there his forces moved to the city of Washington, where they burned public buildings. 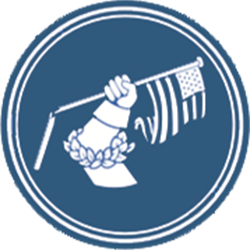 In detailing this campaign, McCavitt and George clear up a number of misconceptions, including the claim that the British burned the entire city of Washington. Finally, the authors shed new light on the long-debated circumstances surrounding Ross s death on the eve of the Battle of North Point at Baltimore.